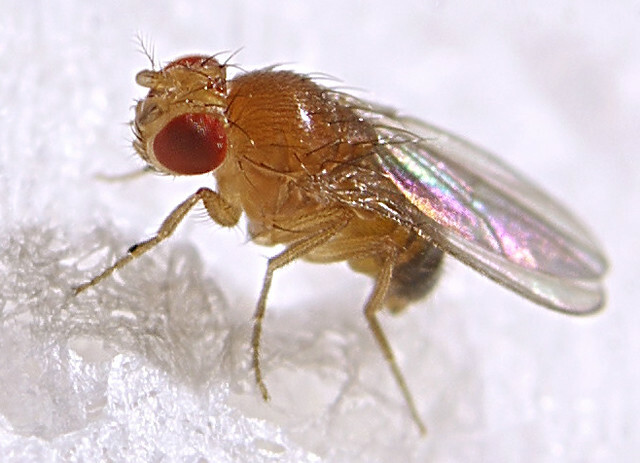 Drosophila « Nothing in Biology Makes Sense! Cross-posted at Denim and Tweed. In the course of adaptive evolution — evolutionary change via natural selection — gene variants that increase the odds of survival and reproduction become more common in a population as a whole. When we’re only talking about a single gene variant with a strong beneficial effect, that makes for a pretty simple picture: the beneficial variant becomes more and more common with each generation, until everyone in the population carries it, and it’s “fixed.” But when many genes are involved in adaptation, the picture isn’t so simple. This is because the more genes there are contributing to a trait, the more the trait behaves like a quantitative, not a Mendelian, feature. That is, instead of being a simple question of whether or not an individual has the more useful variant, or allele, at a single gene — like a light switch turned on or off — it becomes possible to add up to the same trait value with different combinations of variants at completely different genes. As a result, advantageous alleles may never become completely fixed in the course of an adaptive evolutionary response to, say, changing environmental conditions. That principle is uniquely well illustrated by a paper published in the most recent issue of Molecular Ecology, which pairs classic experimental evolution of the fruitfly Drosophila melanogaster with modern high-throughput sequencing to directly observe changes in gene variant frequencies during the course of adaptive evolution. It clearly demonstrates that when many genes contribute to adaptation, fixation is no longer inevitable, or even necessary.